The public is invited to a panel discussion on efforts to build an alliance and cooperate cross-sector to help New York City achieve greenhouse gas emissions reductions of 80% by the year 2050. The discussion will be held on Thursday, September 21, 2017 at 6:30 p.m. at the Fordham Gabelli School of Business (McNally Auditorium, 140 West 62 St. New York, NY 10023). 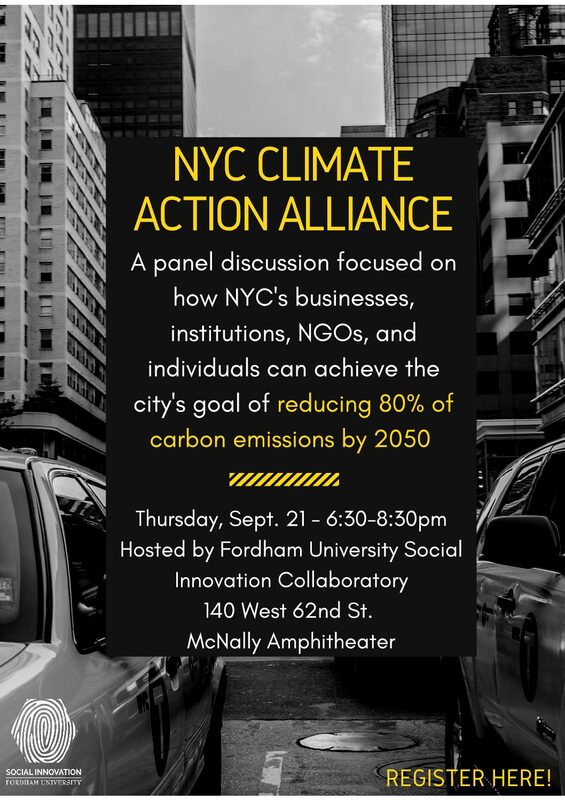 Host and Co-Sponsors: The discussion will be hosted by the Fordham Social Innovation Collaboratory and co-sponsored by the NYC Climate Action Alliance, the New York League of Conservation Voters and the New York City Bar Association. Next → Next post: Climate Change Is Complex. We’ve Got Answers to Your Questions.